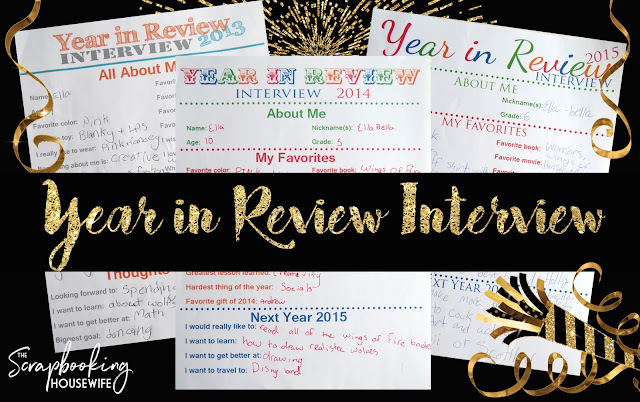 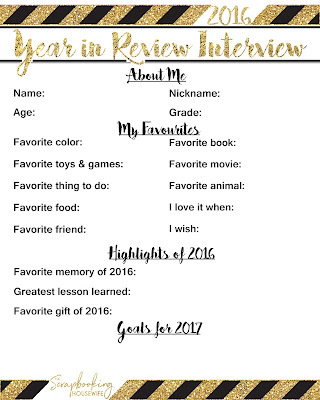 My kids have filled out a Year in Review Interview for years, and we all just love looking back at them! I have made a new updated 2018 version available as a free download for you! 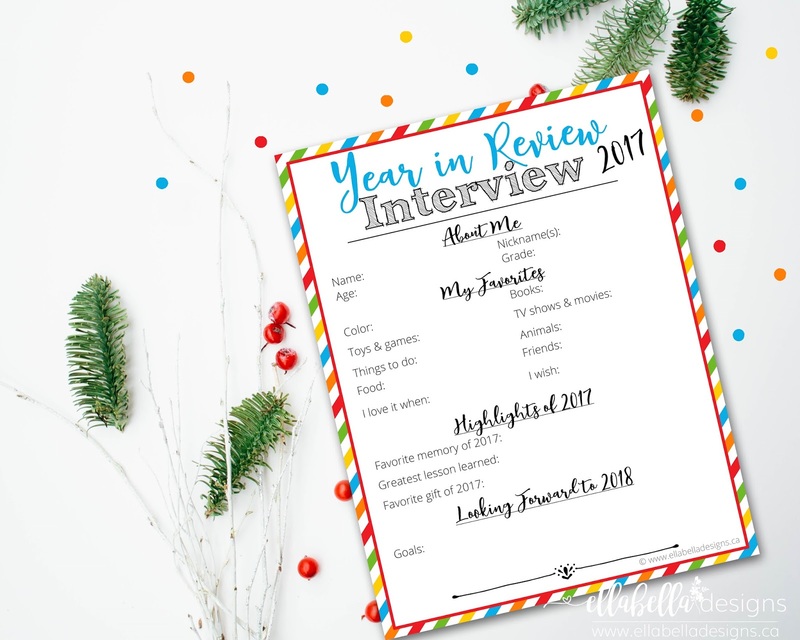 Filling out the kids' New Year's Interview is such a fun activity for them to do on New Year's Eve while waiting for the countdown to begin! We usually have some other fun activities and they love celebrating with the Blackberry Mock Champaign! 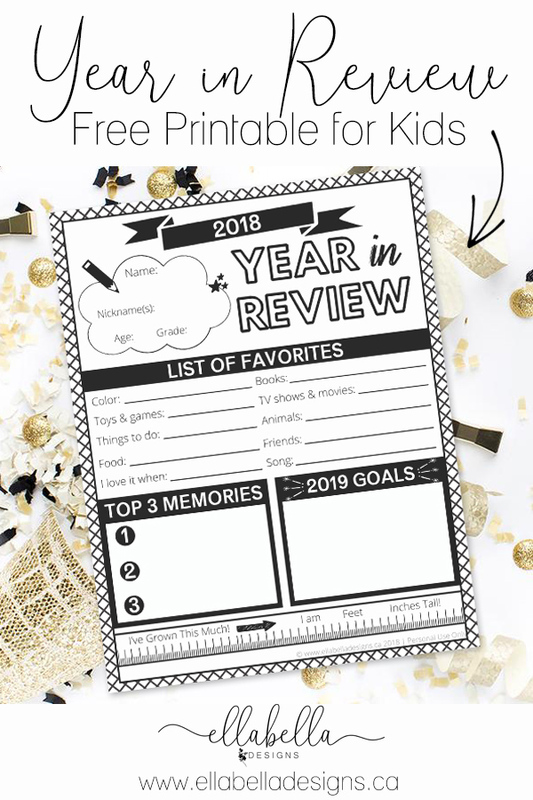 This year, I have made the printable a black and white version perfect for the kids to color in and/or draw in the boxes! Click here to download the Year in Review Interview 2017 version. 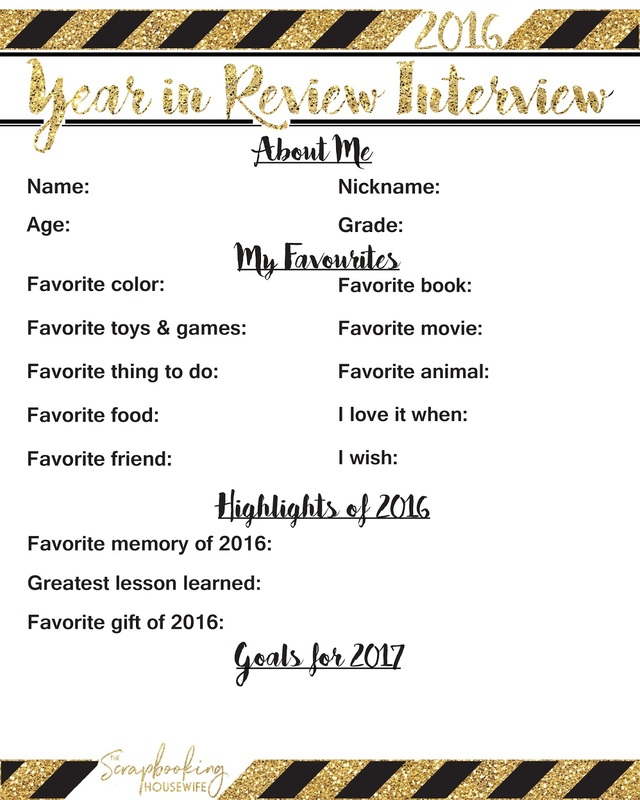 Click here to download the Year in Review Interview for 2016. 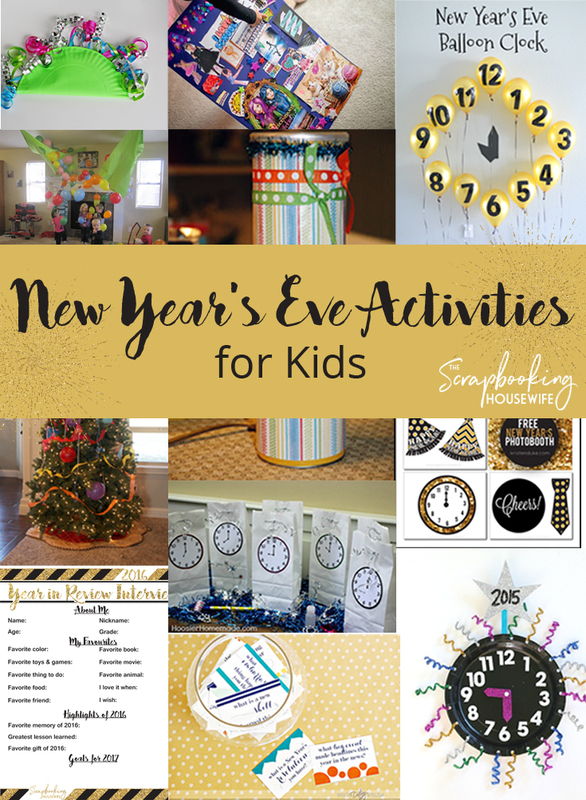 If you are looking for other activities to do with your kids on New Year's Eve, check out my post here for some ideas! 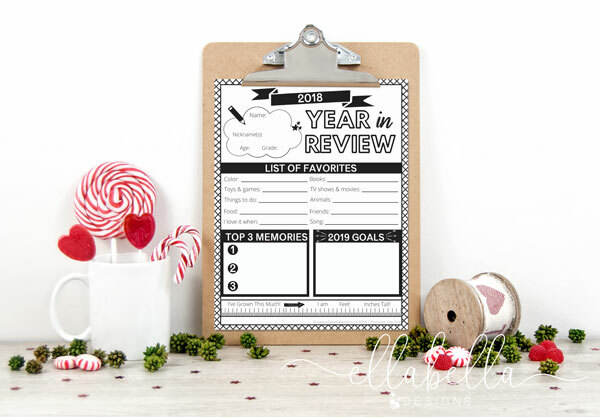 Be sure to check out my New Year's Pinterest Board for more ideas!